CP Electronics, the UK market leader in lighting control solutions, has continued to invest in its best-selling Green-i electrical wholesaler range. 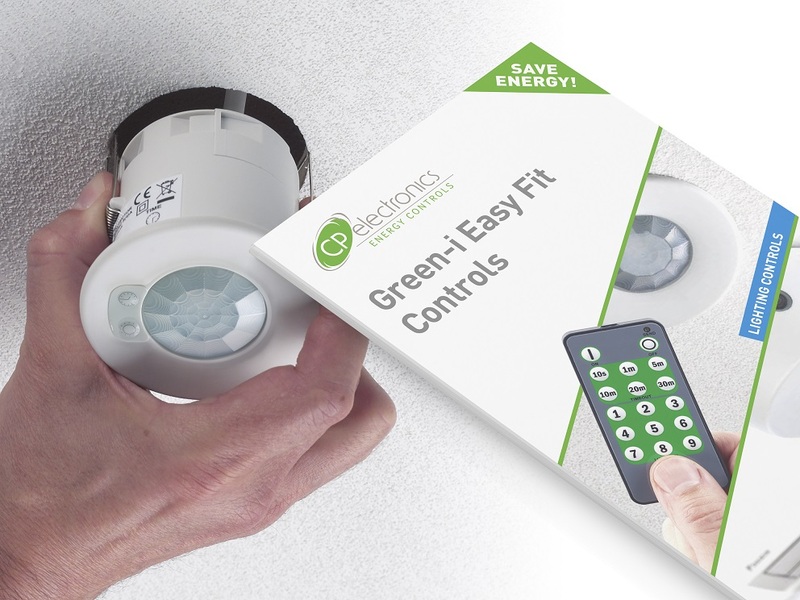 New additions to the range reinforce Green-i’s status as the ideal solution for contractors who need cost-effective and hassle-free lighting control devices that saves energy in a variety of applications. 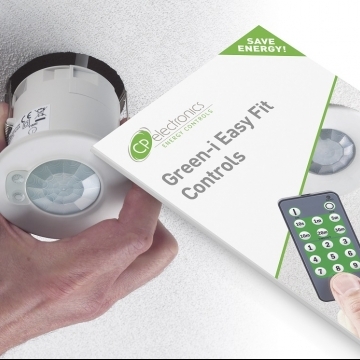 The latest Green-i brochure is now available, detailing how all new and existing products support contractors with easy-fit solutions that save time and money. With technical data and clear installation guidelines, the brochure guides contactors through the range. Amongst the new additions are the GEFL-IR, an infrared programmable PIR presence detector which is compatible with the GEFL-HS handset. The handset allows the user to adjust time delay and lux settings quickly and easily. Another product added to the brochure is GEFL-PB-ABS, a low profile PIR presence and absence detector, with push button operation. The new GEFL-PB-ABS detector delivers absence detection to the Green-i range for the first time, offering increased functionality and flexibility. CP Electronics has also included the new AC controller for air conditioning – the GESM-AC. This passive infrared (PIR) simply ‘learns’ an AC unit’s infrared code, then controls its operation, based on occupancy. As it is surface mounted and battery powered, installation is simplified and disruption is reduced. Finally, the new 2-way Vitesse Modular connection starter box, VITM4-S2, is included in the brochure and is targeting the growing popularity of pluggable solutions. The modular nature of Vitesse Modular enables contractors to work more quickly and flexibly as the range grows and adapts over time via the use of extender boxes if required. The wider Green-i range is also detailed in this brochure. Products include the full offering of passive infrared (PIR) movement sensors, timers, light level controls and CP Electronics’ pluggable Vitesse Modular range – all of which come with a five year warranty as standard. CP Electronics has also included a jargon-busting glossary in the brochure which communicates product features and benefits in a clear and concise way with customers. This is also complemented by new Vitesse Modular schematics that help contractors understand how to apply these products over a variety of applications. “As energy saving lighting continue to grow in popularity, CP Electronics is consistently meeting market demand for easier ways to install and control lighting with its Green-i-products.” explains Paul Robbins, divisional manager of Green-i. The new Green-i brochure complements every wholesaler’s existing literature by providing information about how contractors can take their first step towards energy saving, without the hassle of complicated installing processes. To view the Green-i brochure click here.